From the San Francisco Chronicle: The man suspected of sending 15 pipe bombs this month to prominent Democrats, including former President Obama, searched the internet using the term “UC Berkeley Library,” the FBI told campus police Tuesday. Three weeks into a trial gauging whether Harvard University discriminates against Asian-American applicants, eight current and former students came to the school’s defense. They extolled the value of a diverse campus in enriching their college experiences and said they supported the university’s consideration of race in admissions decisions. Students for Fair Admissions, the nonprofit suing Harvard and alleging the school intentionally discriminates against Asian-Americans, didn’t call any students or applicants to testify. Harvard didn’t ask students to testify on its behalf, citing respect for their privacy. Rather, a coalition of 25 student and alumni groups filed a friend-of-the-court brief this summer and received court approval to testify in support of diversity at the university. Members of those groups, and others who testified Monday, were represented by lawyers from the NAACP Legal Defense Fund, Lawyers’ Committee for Civil Rights Under Law and Asian Americans Advancing Justice. The students and graduates—who identify as Chicana, Latina, Vietnamese-American, black and Chinese-American—reinforced the potential impact of the judge’s ruling. Harvard said in a court filing that eliminating affirmative action would give the biggest boost to white students, increasing their share in a recent admitted class to 48% from 40%. The share of Asian-Americans would rise to 27% from 24%, while African-Americans would drop to 6% from 14%, and Hispanics to 9% from 14%. A significant decline in black and Latinx enrollment would be “catastrophic for a student like me,” said Itzel Vasquez-Rodriguez, a Mexican-American woman who graduated from Harvard in 2017. Latinx is the nongendered term for the Latino and Latina community, and was the preferred descriptor for many of Monday’s witnesses. She said there was “absolutely not” adequate representation of students of color on campus, and a further drop would be “really detrimental” both to those in need of a support network and others who could stand to learn from minority populations. “It would really rob students of that critical Harvard education where you learn from…people who are different from you,” said Sally Chen, a Chinese-American Harvard senior. She said the fact that her San Francisco high school had a large concentration of Asian-American students was “detrimental” to her educational experience. The courtroom was packed Monday, with dozens of Harvard students and graduates—Asian, white, black, Latinx and others—donning light blue T-shirts reading, #DefendDiversity. They came to support friends and classmates, even breaking into applause at the end of one student’s testimony. On the stand, students discussed how they thought race-blind admissions would have affected their applications. Most said they couldn’t have expressed their whole selves without mentioning race and wouldn’t want to be at a school that didn’t clearly value diversity. Thang Diep said that even if he hadn’t discussed his Vietnamese-American identity in his application, it would have been obvious from his name, birthplace and parents’ birthplace. Source: https://www.wsj.com/articles/harvard-students-alumni-defend-value-of-diversity-on-campus-1540853178 via UCOP Daily News Clips, 10-30-18. Note: There was no testimony reported from students who applied but didn't get into Harvard, a group which includes the trial judge. 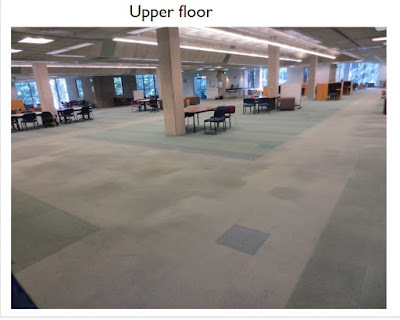 Blog readers may recall our posting a week ago about the book depletion of the UC-Santa Cruz library. * Professor-Emeritus W. Todd Wipke forwarded the photos above and below of the result. 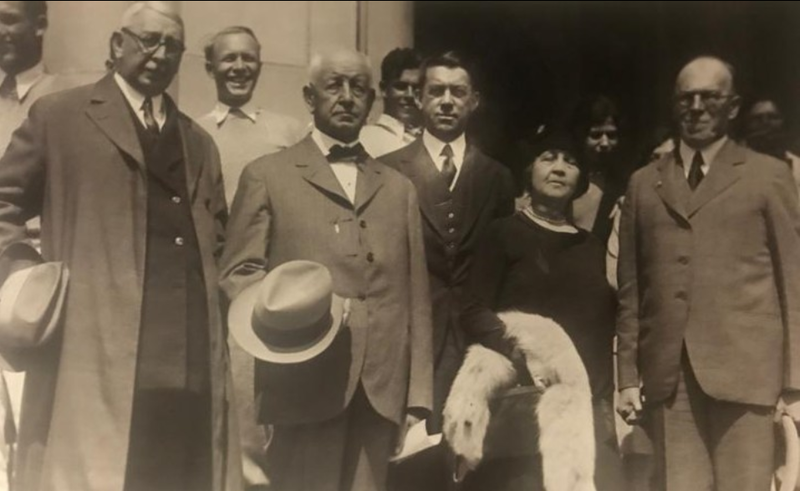 The 1930 dedication of UCLA's Westwood campus: Regent John R. Haynes - Ca Gov William D. Stephens - UC Regent Edward A. Dickson - UC Regent Margaret R. Sarton and UCLA "Director" (what we now call "chancellor") Ernest Carroll Moore. Peter Arcidiacono, an economist at Duke U., testified on Thursday that “there is a penalty against Asian-American applicants” at Harvard. 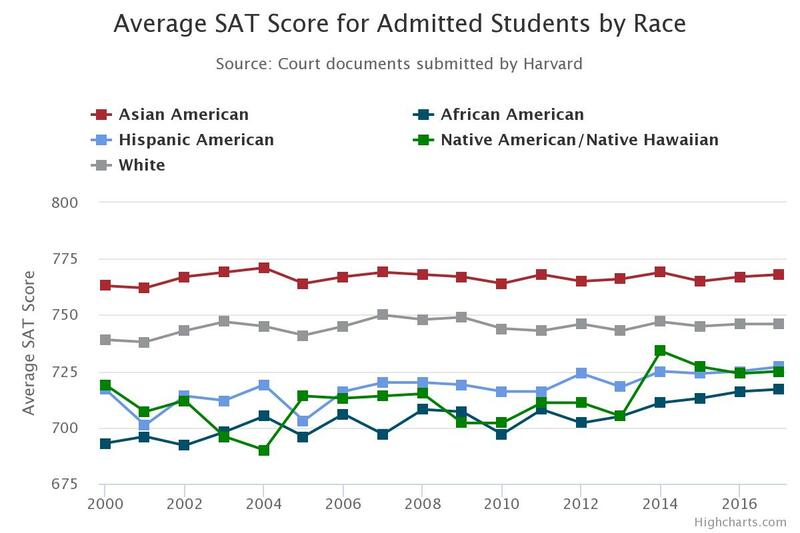 Harvard College’s admissions process favors African-American, Latino, and Latina students at the expense of white and Asian-American applicants, a Duke University economist, Peter S. Arcidiacono, testified here in federal court on Thursday. He had been hired to analyze six years of Harvard’s admissions data by Students for Fair Admissions, an anti-affirmative-action organization that sued the college in 2014, claiming it discriminates against Asian-Americans. Students for Fair Admissions does not plan to call any Asian-American students who were rejected by Harvard to testify, so Arcidiacono is the organization’s key witness. He laid out the crux of the case against Harvard, relying on his analysis of the data to show that Asian-American applicants are treated unfairly. Though they consistently perform better on academic and extracurricular metrics, he said, “there is a penalty against Asian-American applicants” at Harvard. Harvard officials adamantly deny that admissions officials discriminate against Asian-American applicants. They say that while they do consider race in their admissions process, it can only help an applicant. As part of Harvard’s process, admissions officials rate applicants in four categories: academic achievement, extracurricular activities, athletic abilities, and personal qualities. They also give each applicant an overall rating. Arcidiacono’s central claim is that Harvard admissions officials discriminate against Asian-American applicants in two places: the personal rating and the overall score. Harvard admissions officials testified earlier in the trial that they consider an applicant’s race only in the overall score. They also said the scores are preliminary, given early in the months-long process. But Arcidiacono said he had found that the applicants who are admitted tend to be the ones who earn high scores on the personal and overall ratings. A main difference between the two economists’ analyses is which types of applicants they included. Arcidiacono excluded recruited athletes, the children of alumni, the children of Harvard faculty and staff members, and students on a “Dean’s List” made up partly of children of donors. Those applicants — about 7,000 out of the roughly 150,000 students in the six-year data set — are admitted at a much higher rate than the rest of the pool, which Arcidiacono said made them difficult to compare with the other applicants. “If you’re discriminating against a group, wouldn’t you expect them to discriminate across the board?” she asked. Arcidiacono disagreed with that one. For most of the day, J. Scott McBride, a lawyer for Students for Fair Admissions, walked Arcidiacono through dozens of slides depicting graphs and simplified equations showing how he had conducted his analysis. Arcidiacono appeared relaxed and almost gleeful on the stand. He sat back in his chair, gestured with his hands, and took frequent sips of water and coffee. He said he doesn’t usually get to work with such a rich and detailed data set. He also testified that he had been paid $450 an hour for his work leading up to the trial. He charged a flat rate of $5,000 for the trial itself. Lee noted that Students for Fair Admissions and Arcidiacono himself had received funding from the same source, the Searle Freedom Trust, a libertarian-leaning foundation that supports conservative causes. Lee asked Arcidiacono if he could name a single member of Students for Fair Admissions who had been rejected by Harvard. “I guess not,” he said. Arcidiacono’s testimony will continue on Friday. UCLA announced Thursday it has acquired the Crest Theatre on Westwood Boulevard and said it would turn the landmark venue into a new off-campus performing arts space. UCLA's purchase of the long-dormant theater was made possible by major gifts from actor, writer and director Susan Bay Nimoy, and an anonymous donor, UCLA said in a statement. With an anticipated opening date in 2021, the venue will be re-named the UCLA Nimoy Theater in honor of Nimoy's late husband, Leonard Nimoy. "As a long standing supporter of the Center for the Art of Performance, and its inspired artistic director, Kristy Edmunds, I am thrilled to help provide UCLA with a long-awaited state-of-the-art theater," Nimoy said. "My late husband, Leonard Nimoy, and I admire Kristy's passion for the art of performance, her out-of-the-box imagination, razor-sharp intellect and her vision for what the UCLA Nimoy Theater will bring to Los Angeles." The UCLA Nimoy Theater is envisioned as a public platform for emerging contemporary performing artists across all disciplines whose work seeks an intimate scale, including extraordinary UCLA students and recent alumni, independent practitioners throughout Los Angeles, and national and international visiting artists, the statement said. 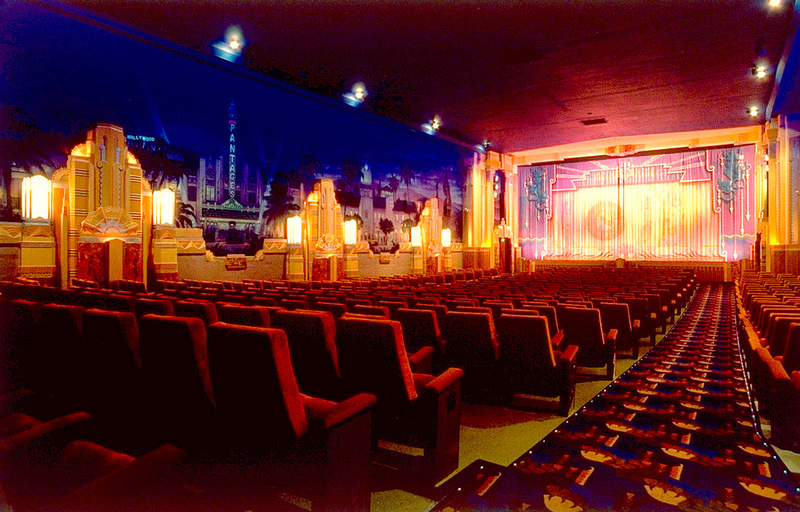 The reinvigorated theater, which will be upgraded to current standards and outfitted with advanced technology, will become a dynamic home on the Westside of Los Angeles for both audiences and artists, enabling creative collaboration and presentation in theater, music, digital media, spoken word, dance and contemporary performance. 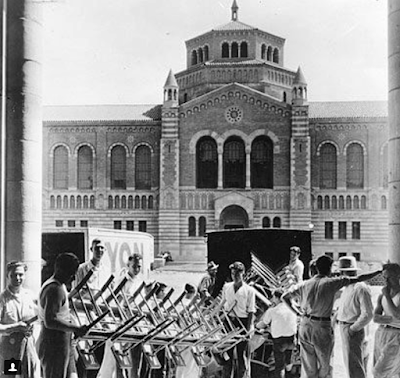 The acquiring entities were identified as the UCLA School of the Arts and Architecture and the school's performing arts program, the Center for the Art of Performance. The purchase price was not reported. "The acquisition and transformation of the Crest Theater into the UCLA Nimoy is a critical next step in our effort to extend the reach of the arts at UCLA beyond the 420 acres of campus," said Brett Steele, dean of the UCLA School of the Arts and Architecture. 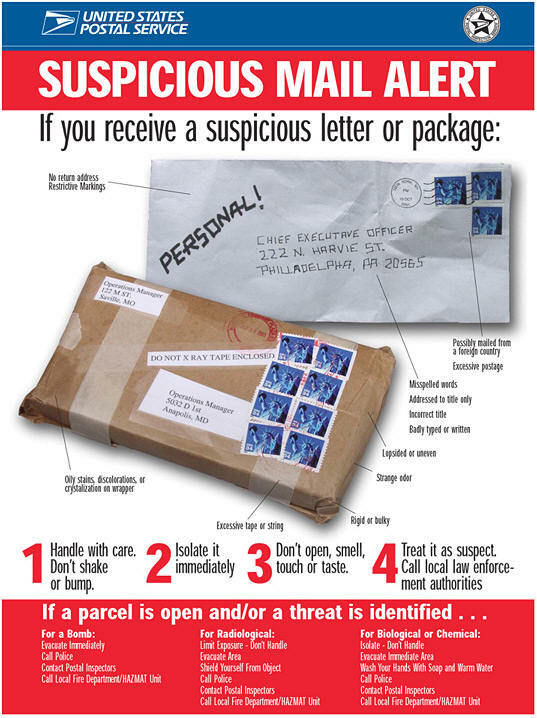 There have been headlines about suspicious packages arriving at various locations this week. Yours truly was at a CUCEA meeting on Wednesday in Berkeley. Some administrators from UC's Oakland headquarters were supposed to come to the meeting to make a presentation. 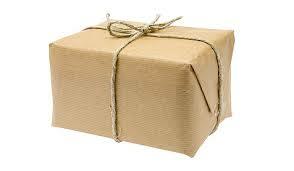 They didn't come and we were told it was because of such a package received at the Oakland headquarters. Police were called and apparently whatever it was turned out not to be dangerous. I don't know more than that, but no reference seems to have appeared to the incident in the news media. Days before the opening of a trial accusing Harvard of discriminating against Asian-American applicants, the college issued new guidance to its admissions officers earlier this month on what personalities it is seeking in its incoming freshmen, a question at the heart of the case. The new guidelines for the Class of 2023 caution officers that character traits “not always synonymous with extroversion” should be valued, and that applicants who seem to be “particularly reflective, insightful and/or dedicated” should receive high personal ratings as well. The disclosure of the new guidelines on Thursday, the ninth day of the trial in Federal District Court here, address central concerns in the case. The group challenging Harvard’s affirmative action efforts, Students for Fair Admissions, says that the university limits the admission of Asian-American students by giving them lower personal ratings and stereotyping them as quiet and studious. Harvard has denied stereotyping or discriminating against any racial or ethnic group. The advice on personal ratings does not mention Asian-American bias. But the case has raised the question of whether elite colleges’ preference for certain character traits in applicants — such as extroversion — is culturally biased. One of the odder quirks of the trial testimony has been how often the word “effervescence” has come up. It has been hammered home that Harvard values applicants who are bubbly, not “flat,” to use another word in the Harvard admissions lexicon. Now “reflective” could be a plus as well. The release of the new guidelines came as a surprise. A parade of admissions officers have taken the stand to say that they do not discriminate. But they have also said, in answer to a repeated line of questioning from the plaintiffs, that there are no written guidelines on how to use race in the admissions process. The new guidelines explicitly prohibit admissions reviewers from considering race or ethnicity when evaluating applicants on personal qualities — a directive that does not appear in the old guidelines. (The use of race is also forbidden when evaluating academics, extracurricular activities or athletics.) Race may only be considered, the 2023 rules say, in the “overall” rating, which is a summation and an impressionistic view of the whole applicant. But even in the overall rating, the new guidelines say, race and ethnicity may be considered only for how they contribute to the educational benefits of diversity at the college, and only as one of many factors. The existence of the new guidelines was first hinted at on Wednesday, during testimony from Tia Ray, a 2012 Harvard graduate who now works as a senior admissions officer and minority recruiter for the college. The plaintiffs’ lawyer, Kat Hacker, asked what had by then become a boilerplate question. “That is incorrect,” Ms. Ray replied, startling the lawyers for the plaintiffs and sending one bolting out of the courtroom. Ms. Ray had said differently in her deposition. Ms. Hacker quickly asked for a conference with the judge. Later, Ms. Ray explained that the new guidelines had been adopted very recently, after her deposition. The guidelines were filed in court on Thursday. Harvard officials said that Ms. Ray had brought up the document because she was in the middle of training admissions officers, and the guidelines were on her mind. Moving Day (into the new Westwood campus), 1929. 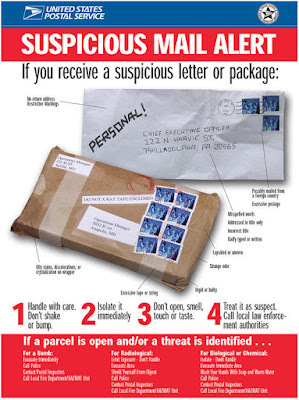 Most blog readers will know that emails such as the one above are fraudulent. 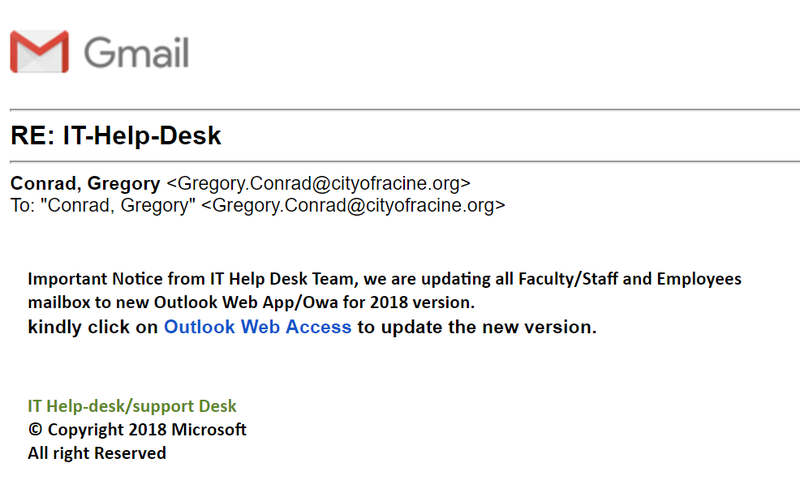 Yours truly has received more than one of these emails over the past few days. If you get one, don't click on anything. It doesn't come from UCLA or UC. It doesn't come from Microsoft. "cityofracine.org"? "All right (with no 's') Reserved)"? Former Dean of the Faculty of Arts and Sciences Michael D. Smith took the stand Tuesday to defend his role in maintaining the College’s race-conscious admissions practices on the seventh day of Harvard’s high-profile admissions trial. Specifically, Smith spent much of his roughly three-hour long testimony defending the conclusions of a committee he formed in 2017 to research race-neutral alternatives to affirmative action. The “Smith Committee” concluded that "Harvard could not both achieve its diversity interests and achieve other equally important educational outcomes, such as academic excellence” — a finding Smith stood by on the witness stand Tuesday. Smith's testimony comes during the second week of a trial that is expected to conclude in early November. At stake is whether or not Harvard discriminates against Asian-American applicants, as anti-affirmative action group Students for Fair Admissions alleges in its 2014 suit against the University. Among other charges, SFFA claims that Harvard has not fulfilled the Supreme Court’s requirement that colleges should give “serious, good faith consideration of workable race-neutral alternatives” to race-based affirmative action. Smith said in his testimony that he selected the other two members of his committee — Dean of Admissions and Financial Aid William R. Fitzsimmons ’67 and Dean of the College Rakesh Khurana — for their understandings of the admissions process and the undergraduate educational experience, respectively. In discussions of their findings, the three were often joined by attorneys from the University’s Office of the General Counsel. This is not the first time the Smith Committee has entered the courtroom — SFFA expert witness Richard D. Kahlenberg ’85, an education researcher and fellow at the Century Foundation, testified about the committee Monday, charging that the group did not adequately consider race-neutral alternatives. Smith also noted that the College already tried one measure that has been suggested as a race-neutral alternative — eliminating Early Action admissions — and this did not increase diversity. With the Early Action program, students can apply to the College in the fall and receive a non-binding offer of admission by mid-December. The Faculty of Arts and Sciences voted to eliminate this program in 2007. By 2011, Early Action was reinstated after Smith and the Faculty concluded that the program’s absence “wasn’t helping” and “was at times hurting” Harvard’s admissions process — specifically, the College’s ability to retain high-performing admits of underrepresented minority backgrounds. The students, rather than applying in the Regular Decision pool, were taking their talents to colleges and universities which continued to offer Early Action or Early Decision programs, Smith testified Tuesday. “While this race-neutral alternative may work for other institutions, it’s our experience — our recent experience — that it does not work for us,” Smith said. SFFA lawyer J. Scott McBride asked Smith if race-neutral alternatives were rejected by the committee because they may affect the status of legacy admission, the special consideration the children of Harvard graduates in the admissions process. Smith denied this claim. 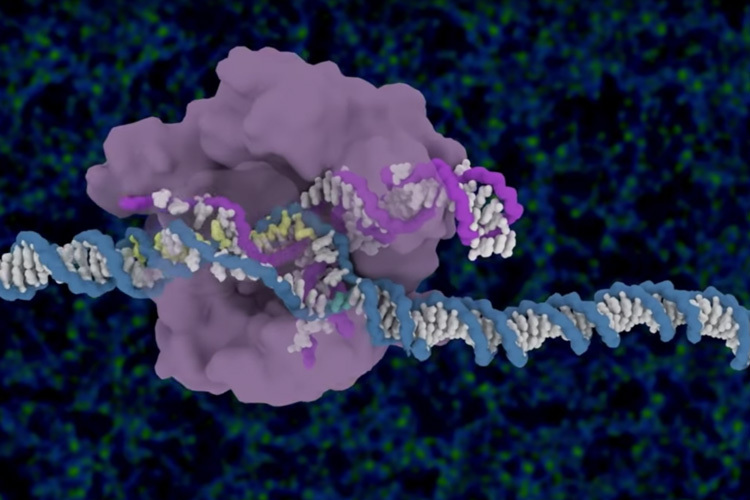 “I can envision a simulation where you would eliminate the consideration of race of one factor among many but you still have the consideration of alumni,” Smith said. In the end, Smith said the committee "felt that no racial alternative could substitute the consideration of race." Smith is not the first top Harvard administrator to take the stand; Dean of Admissions Rakesh Khurana finished his testimony Tuesday morning. Former University President Drew G. Faust is scheduled to appear in court within the next week. Smith said he spent a significant amount of time preparing for his three-hour testimony — he even took a sabbatical from his position as a professor of engineering and applied sciences. Harvard lawyer Seth P. Waxman ’73 ended the former dean’s testimony on a moment of levity. “Go back to your sabbatical,” Waxman said. 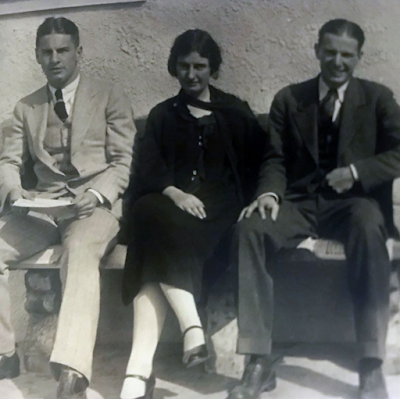 A 1926 photo of the founders of the UCLA Alumni Association: Fred Meyer Jordan, Thelma Gibson, and Leslie Cummins. In 1926, UCLA was still in its Vermont Avenue campus. Harvard’s student body skews wealthy — and Dean of the College Rakesh Khurana indicated in court testimony this week that he’s okay with that. Khurana stepped to the witness stand around 3 p.m. Monday in the high-stakes and high-profile Harvard admissions trial that could decide the fate of affirmative action in the United States. Adam K. Mortara — the head lawyer for Students for Fair Admissions, the anti-affirmative action group suing the University over its admissions process — rose to face the dean. Mortara asked whether Khurana is aware that the portion of United States households that draw an annual income of over $150,000 hovers around 5 percent (though CNN reported in 2016 that roughly 11 percent of American citizens rank in that economic category). He then asked whether Khurana is aware that individuals in that income bracket make up roughly 30 percent of Harvard’s student body. “What is special about wealthy people that Harvard needs to have them overrepresented by a factor of six on its campus?” Mortara asked later. In response, Khurana said Mortara was missing the point. In total, Khurana spoke for roughly an hour on the sixth day of the admissions trial, which is slated to last for at least three weeks. The dean will return to the witness stand Tuesday morning. At stake is whether or not Harvard discriminates against Asian-American applicants, as SFFA alleged when it filed suit against the University in 2014. Khurana is the highest-ranking administrator to testify in the John Joseph Moakley United States Courthouse to date, though former University President Drew G. Faust is scheduled to appear in court some time in the next week or so. Khurana arrived at the courthouse sporting a blue blazer, a purple-checkered shirt, and a purple tie. In their first chance at the dean, SFFA lawyers did not spend much time on any one line of questioning, instead drifting from one subject to another. Portions of the questioning were more substantive than others. In addition to quizzing Khurana about Harvard’s socioeconomic diversity, Mortara asked him about race-neutral alternatives to the College’s race-conscious admissions process. And he pressed the dean on whether Khurana believes the school’s admissions policies disadvantage Asian-American students. Khurana repeatedly insisted he does not. “I don’t believe that Harvard College’s admissions process disadvantages Asians,” Khurana said. The dean seemed slightly tense Monday, often pausing several seconds before responding to Mortara’s inquiries and giving one-word answers. “I hope I partially dedicated it to my wife,” Khurana said, spurring laughter in the courtroom. 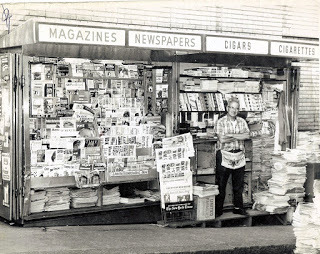 And sometimes, the SFFA lawyer took things back to basics. “You’re the dean of Harvard College, correct?” Mortara asked. The dean answered in the affirmative. Khurana again answered in the affirmative. Things didn't work out so well there either. The head librarian moved the science librarian from the science library to McHenry Library, thus (the science librarian was) unable to observe, moderate, or to preserve valuable and rare books. During the summer, 2016, at the direction of the head of the UCSC library, Elizabeth Cowell, over 80,000 volumes were removed from the S&E library without any meaningful consultation with the faculty. In a blistering conclusion, the chair of the Academic Senate Library Committee (COLASC), stated that her committee was “blindsided” by librarian Cowell who was an ex-officio member of this committee. 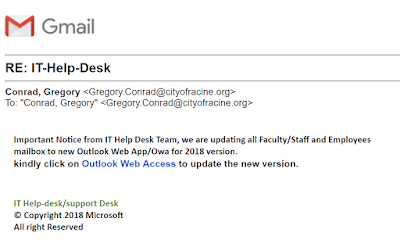 To keep this operation secret from the faculty even the library staff were not informed until the removal operation began. Moreover, the volumes removed were sent to a shredder in direct violation of UC regulations about the disposal of excess library material. 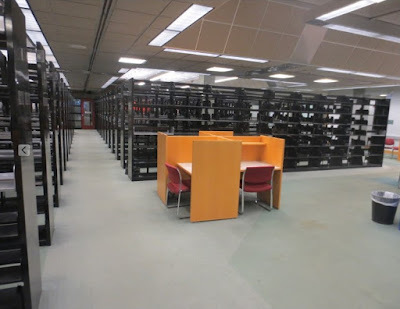 The initial motivation for the removal of a limited number of volumes of the S&E library collection was a request of EVC Galloway to create study space for 200 students. But librarian Cowell’s plans call for space for over 1,500 students. 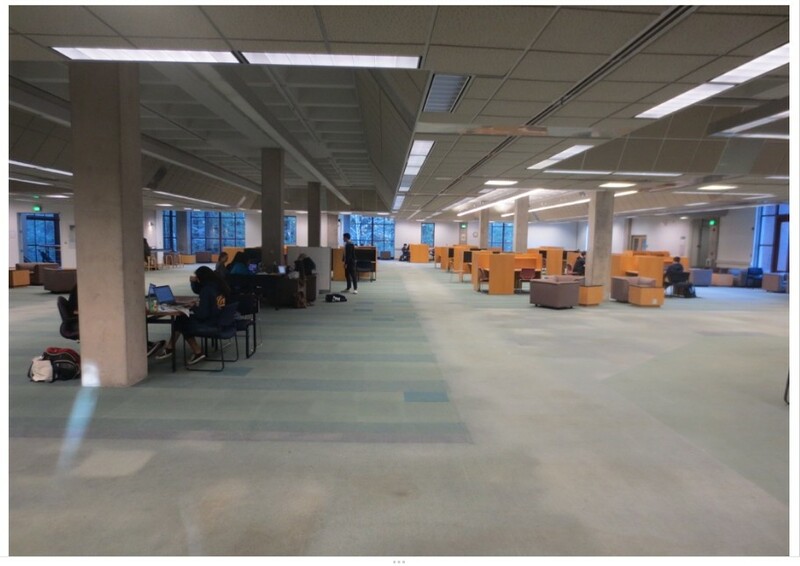 Ironically, the expensive S&E Library, built to support the enormous weight of stacks of books and journals is not well adapted to have a large number of students on each floor, because of lack of toilets, electrical utilities, and fire codes, etc., and will require millions to implement such a giant study hall. 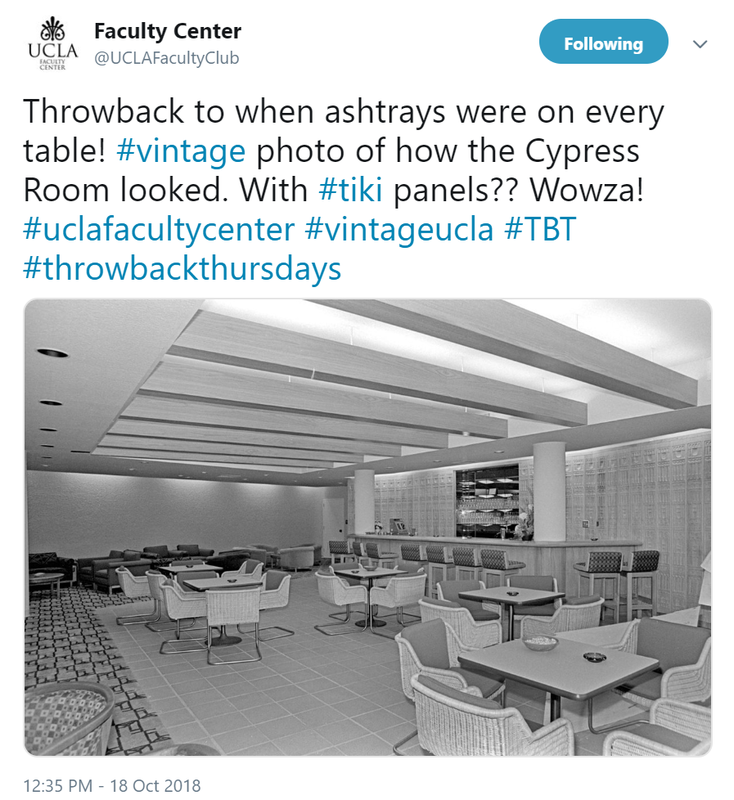 After this demolition was discovered, the UCSC Academic Senate passed a unanimous resolution demanding that the University Librarian take no further major action on the science and engineering collection without consulting the Academic Senate. But in spite of this resolution, on Feb 10, 2017, Chancellor Blumenthal signed a Science and Engineering Library Renovation, Business Case Analysis (BCA) without consulting any faculty or department chairs. Moreover, the author of this BCA, University Librarian, Elizabeth Cowell refused to release it to the faculty. For example, the Academic Senate Committee on Library and Scholarly Communication (COLASC) was not allowed to see the secret plan. The Chair of Physics requested a copy from Dean Koch, but was refused. Finally Professor Emeritus Michael Nauenberg made a California Public Records Act request to obtain a copy. Now the UCSCEA makes those detailed plans public. Of particular interest is the plan for the basement floor of the S&E library shown below and also part of the secret BCA plan. Originally the S&E library contained 55 stacks on this floor, today there are 34 stacks remaining, but the plan calls for only 9 stacks. Faculty do not know this! On the upper floor there were 60 stacks, now there are none and none on the main floor. The plan calls for none on those floors. The treasured Lick collection has been broken, some books have been moved to Special Collections so they can’t be browsed or checked out, some were de-duplicated. There is no list of which books are now in Special Collections or de-duplicated. Astronomy faculty were not consulted. 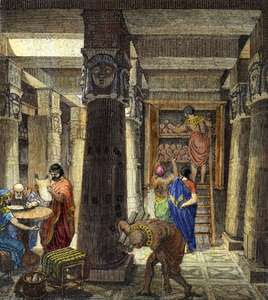 Plan for the S&E Library Basement, only 9 stacks will remain. Previously we had 60 on the third floor and 55 in the basement, now 34 are in the basement, no stacks remain on the second or third floor. UCSC will have 9 stacks in the Science and Engineering Library, a UC Research University campus often ranking #1 or #2 in the nation in science citations? On slow news days, we have been featuring photos of the gradually-emerging new Anderson building. These images are from last week. WHO: A series of Harvard administrators took the stand Friday to face cross-examination from both SFFA* and University attorneys. Bever spoke at length about the 2013 report, which she helped produce as part of her work for Harvard's Office of Institutional Research [OIR]. She emphasized that the statistical models OIR employees used to analyze Harvard admissions left out hundreds of variables. And she noted that many factors College reviewers consider are simply not quantifiable. Harvard has repeatedly insisted the 2013 report was limited in scope, relied on incomplete data, and was not meant to conclusively evaluate whether the College discriminates. 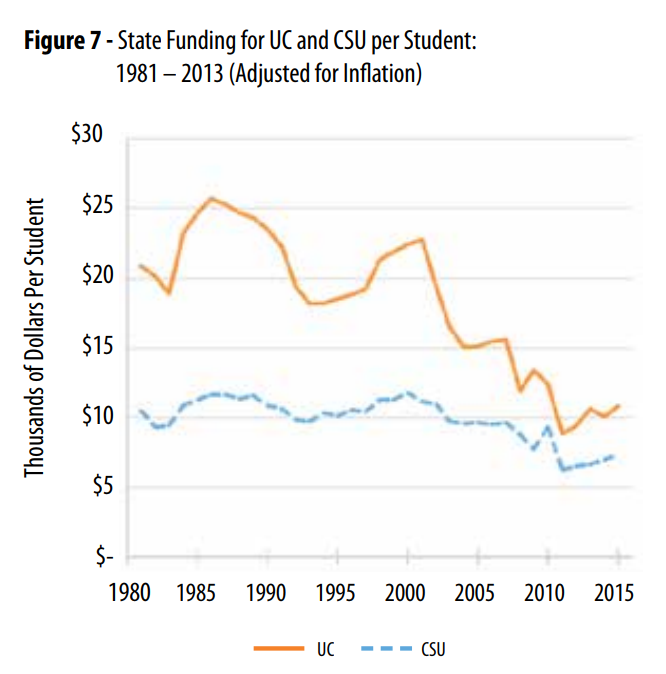 Excerpt from abstract: ...Beginning with cutbacks in the early 1990s UC’s state funding per student steadily declined. The pattern of state disinvestment increased markedly with the onset of the Great Recession. 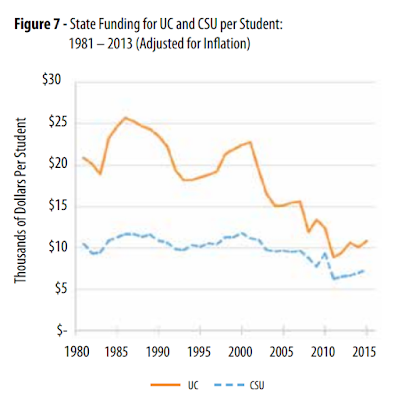 As chronicled in this report, the University diversified its sources of income and attempted to cut costs in response to this precipitous decline, while continuing to enroll more and more Californians. Even with the remarkable improvement in California’s economy, state funding per student remains significantly below what it was only a decade ago. 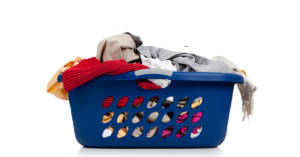 We continue with the Harvard Crimson daily summary of activities at the admissions trial. After the trial ended for the day, Lee paused on his way out to take questions from a scrum of reporters. Munching on a CLIF bar,* Lee said Harvard's race-conscious admissions policies have been "blessed" time and again by the Supreme Court. Did you get an emergency alert? Hughes introduced three emails Wednesday morning that suggest Harvard favors applicants connected to families who fund the school. In one 2013 email, former Dean of the Harvard Kennedy School David T. Ellwood '75 thanked Fitzsimmons for helping admit a student whose relatives family had apparently "already committed to a building." In another, Associate Vice President for Alumni Affairs and Development Roger P. Cheever ’67 noted that admitting an unnamed applicant could "conceivably" lead to the donation of "an art collection." 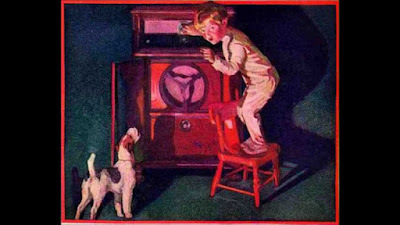 The national news media paid attention to the Harvard admissions trial on the eve of the trial and on the first day. Thereafter, not so much. On the opening day of the highly anticipated Harvard admissions trial, hordes of spectators and reporters crowded into two courtrooms and a jury assembly room to listen as lawyers for both the College and SFFA offered lengthy opening statements. Adam K. Mortara spoke for SFFA, while Harvard Corporation senior fellow William F. Lee '72 argued for the University. Later, Harvard's long-serving Dean of Admissions and Financial Aid William R. Fitzsimmons '67 took the stand to answer a long string of largely technical questions from SFFA's attorneys. Fitzsimmons faced down charges from SFFA lawyers that Asian-American Harvard hopefuls must earn higher PSAT and SAT scores than high schoolers of other races to earn a coveted letter inviting them to apply to the College. Fitzimmons did not dispute the allegations, but said Harvard's outreach to students is meant to ensure the College reaches "people from all backgrounds." Day two of the Harvard admissions trial saw smaller crowds and further cross-examination of the College’s long-serving admissions dean. Hughes questioned whether race unfairly informs the “personal ratings” the College gives to applicants — to Asian-American applicants in particular. 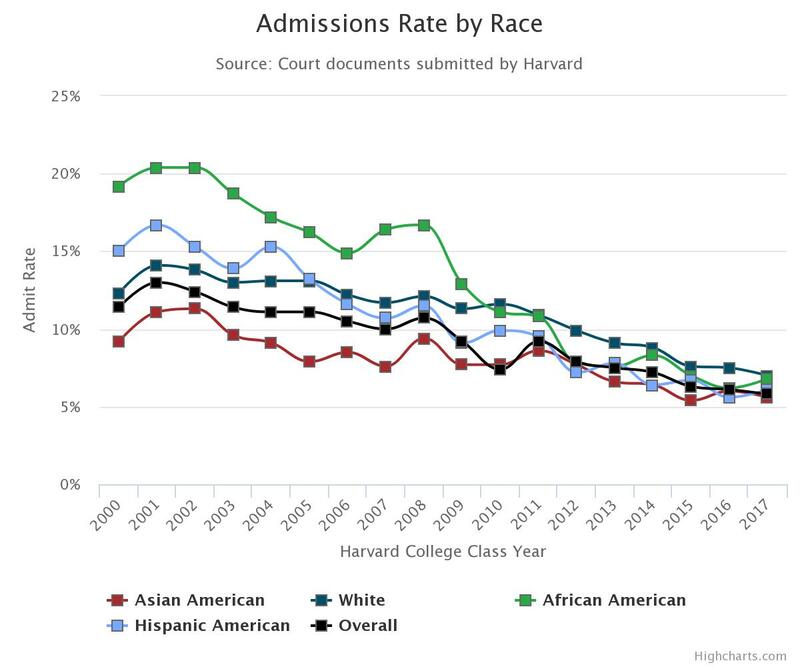 Documents released over the summer as part of the suit appeared to show that Harvard admissions offers give poorer personal ratings to Asian-American applicants. 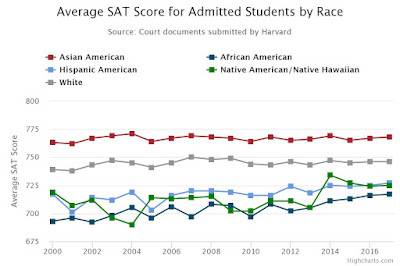 Fitzsimmons admitted personal scores skew lower for Asian-Americans than for Harvard hopefuls of other races. But he said that multiple factors determine applicants’ rankings. ...The committee did not name the academic in question, but it was apparently referring to Roland G. Fryer, Jr., Henry Lee Professor of Economics at Harvard University and faculty director of Education Innovation Laboratory there. Fryer, who was recently elected to the committee, reportedly is the subject of harassment complaints related to the . He did not immediately respond to a request for comment Tuesday. A spokesperson for Harvard referred questions to an earlier comment on the matter saying that "Harvard is deeply committed to providing a civil and inclusive work environment for all members of our community. We are aware of and take seriously concerns raised about the treatment of staff in the Education Innovation Laboratory," including "whether staff members have been treated with the dignity and respect they deserve." As promised yesterday, we now present links to the UC Regents Health Services Committee of October 9, 2018. We preserve these recordings because the Regents delete them after one year for no particular reason. The meeting began with public comments. There was only one speaker who complained about Regental participation in a lawsuit in India against generic drug manufacturers that were producing a prostate drug in which UC has a patent interest. There was continued push at the committee for the campus health enterprises to have more autonomy in such matters as budgets, compensation, and capital projects. Beyond that, there were presentations on various activities in health care including UCLA cardiac services, plans to extend UC medicine into the San Joaquin Valley, hospital bed sore avoidance, and the use of artificial intelligence and information technology in health care (including work with Google). Regent Lansing raised the issue of whether the various campuses should specialize rather than each doing the same thing. Dianne Feinstein’s husband and the UC system are no strangers to controversy surrounding their investment and business practices. University of California regents approved a nine-figure investment in a private equity fund run by a major donor to Democratic Senator Dianne Feinstein, whose husband sits on the regents’ board. The investment was disclosed just as some of the private equity fund’s overseers and advisers were pumping thousands of dollars of donations into Feinstein’s campaign, according to documents reviewed by Capital & Main. 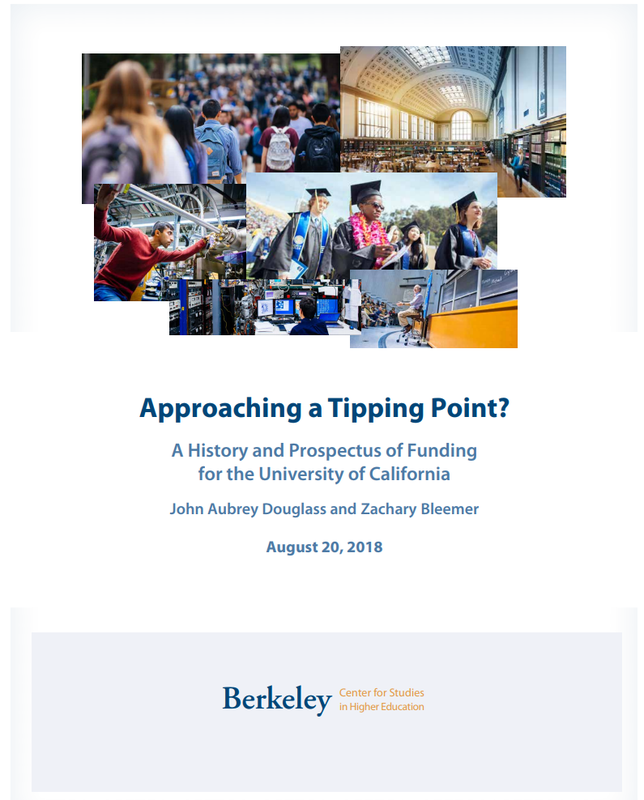 In the fall of 2017, UC regents decided to shift $100 million worth of university endowment and pension resources into the RISE fund, operated by TPG. That firm was founded by David Bonderman, who has forged extensive business relationships with Feinstein’s husband, regent Richard Blum. Over the past quarter-century, Blum served as a TPG executive, founded a fund overseeing TPG’s Asia business and partnered with TPG on numerous investment deals with his own investment fund, Blum Capital. The $100 million investment was UC’s first investment with TPG. Since 1992, Bonderman and his wife have donated more than $32,000 to Feinstein’s political campaigns. Additionally, donors associated with the RISE fund’s board and advisory panel have contributed more than $65,000 to Feinstein’s campaigns and political action committee. That includes $15,400 of donations in the three-week period surrounding the disclosure of UC’s investment in the RISE fund. Those donations came from Salesforce founder Marc Benioff and his wife, Lynne, as well as from Ariel Investments president Mellody Hobson. Marc Benioff and Hobson, who is married to George Lucas of Star Wars fame, sit on the RISE Fund’s Founders Board. In general, securities laws require public officials to make investment decisions on the basis of merit, not personal relationships or political contributions. A 2010 Securities and Exchange Commission rule was explicitly designed to deter financial firms from using campaign contributions to influence investment decisions. Blum argues that there is no conflict of interest. Singh Bachher is in charge of oversight and management of UC’s investment in the RISE Fund. The University of California forwarded the regents’ conflict of interest policy and made no other comment. Senator Feinstein did not respond to a request for comment by press time. ...Meanwhile, the UC Retirement Plan has lately been engulfed in scandal over pay-to-play allegations. In early September, the pension trade publication Institutional Investor published a report showing that the retirement system’s chief investment officer faced “serious charges of mismanagement.” The report also highlighted allegations from an anonymous tipster with inside information that Bachher had placed $250 million in a fund run by a former UC regent, Paul Wachter, who had participated in Bachher’s hiring. The investment was opposed by other top investment staff at UC, the article said.